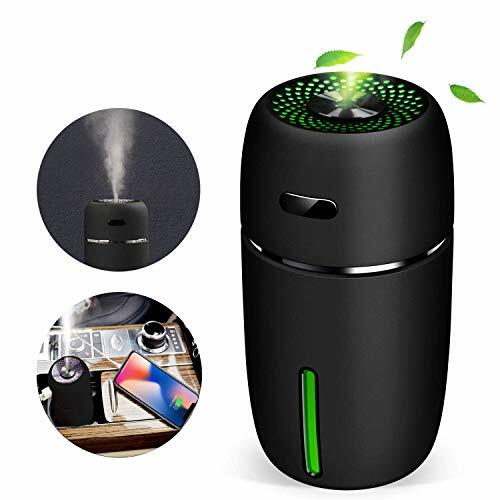 【Importabt Note】Do not use essential oils,perfume, distilled water, which will cause the cotton wwab to clog and the Humidifier to be unusable. 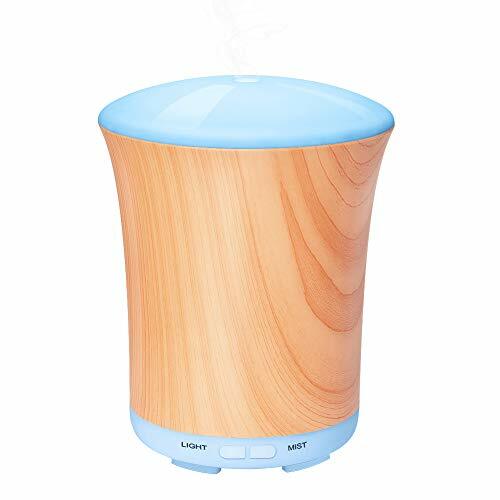 ✅NOTICE -Please Note that do not use essential oils, perfume, distilled water, which will cause the cotton wab to clog and the Humidifier to be unusable. If you accidentally did this, please don't worry, we sent another spare cotton tube, Please replace it after power off. 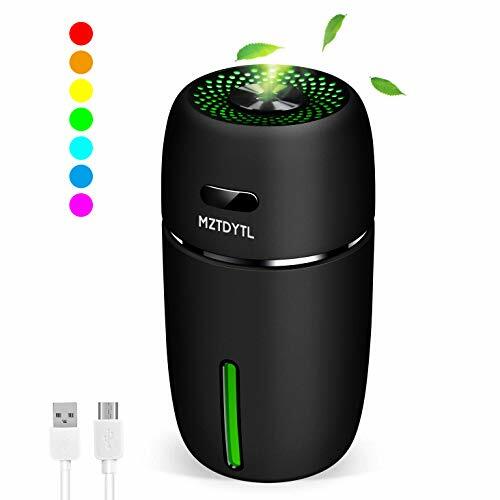 ✅Multiple modes - This mini USB humidifier has two modes. 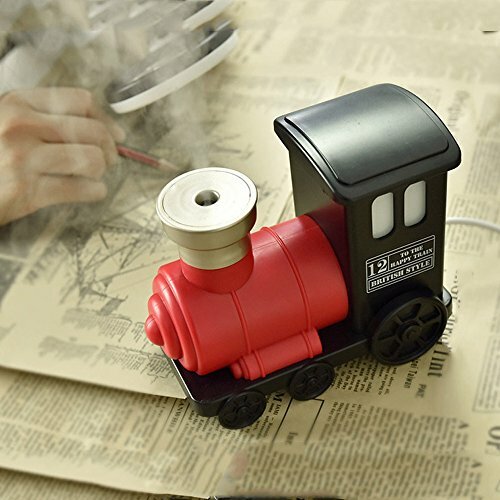 First mode, you need to press once and it will continuously spray for 8 hours. Second mode, you need to press again and it will intervally spray (stop 3 seconds) for 12 hours.Switch at will according to different needs. 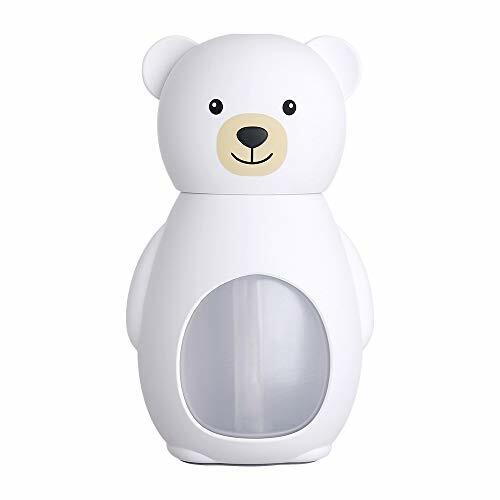 ✅Humanize & Intelligent - Quiet & 7 Soothing LED Light, Small cool mist humidifier is super quiet with low noise, soft night light making it perfect for sleeping. Press the button for 1.5 seconds, the light will automatically change. Press again for 1.5 seconds, the light will turn solid.Artificial intelligence, we are also working hard. 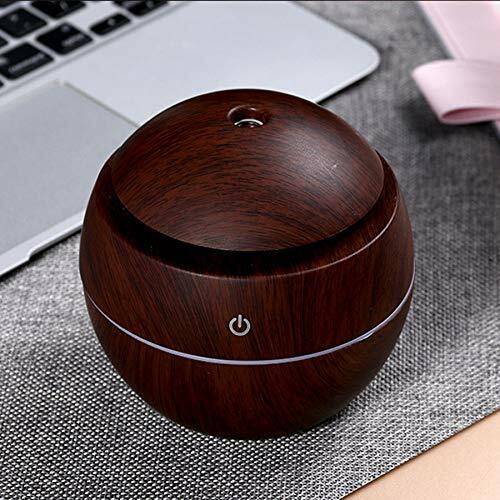 &#x1F48E;【Wood Grain Aroma Diffuser】Natural wood grain style to this diffuser,a great addition to your aromatherapy,and works great for your office,bedroom.Works with 100% natureal essential oils,which help to improve sleeping and does wonders for dry nose in the night. 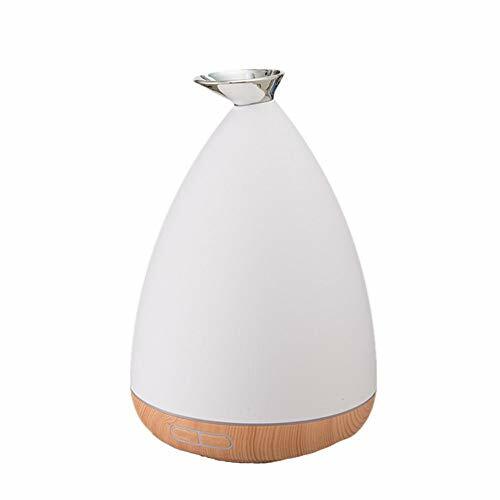 &#x1F48E;【Super Quiet Ultrasonic Diffuser】 Aromatherapy diffuser adopts ultrasonic technology that provides whisper smooth mist and pleasant aromas to create a calm, relaxing environment, 10 hours work time,perfect for kids for a whole night sleep. 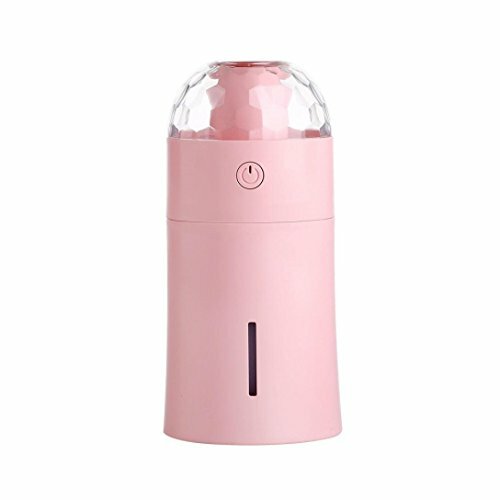 &#x1F48E;【BPA Free Waterless Auto-off Small Diffuser】Made of polystyrene, BPA free diffuser is automatically power off when water lever is too low. 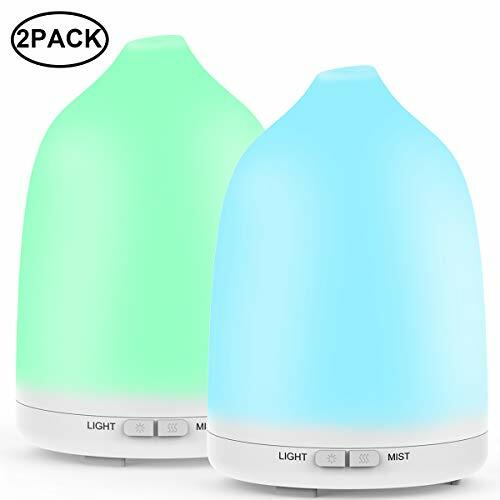 &#x1F48E;【2 Light Mode 2 Mist Mode】8 color light changes automatically or be set match your mood or decor of your room.Mist runs with intermittent (mist 30s on/off) or continuous mist . 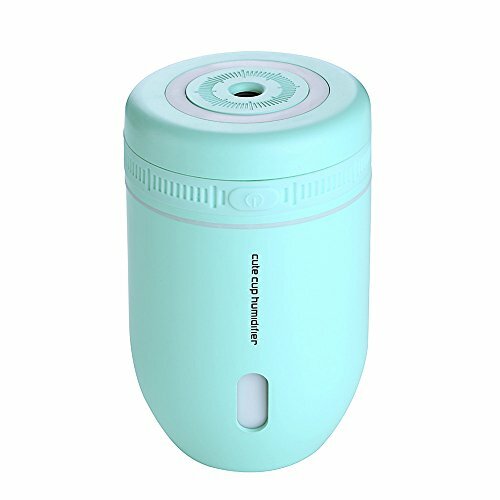 &#x1F48E;【100% Safety And Guarantee】BPA Free, made from high quality PP/ABS material, no risk for you, With CE, FCC and RoHS certified or approved, we promise a 30-Day Money Back Guarantee and a 90-Day Limited Product Warranty. 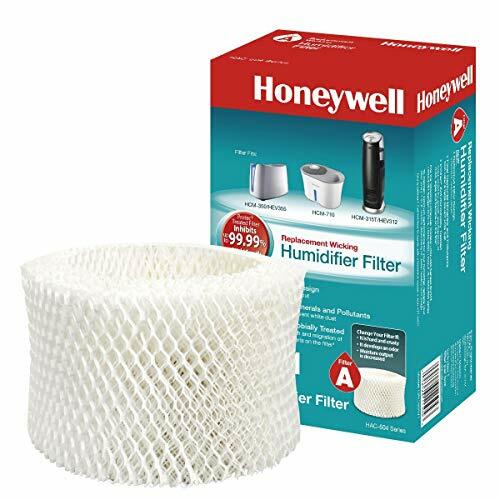 Increase humidity of air.Moisturizing your skin. 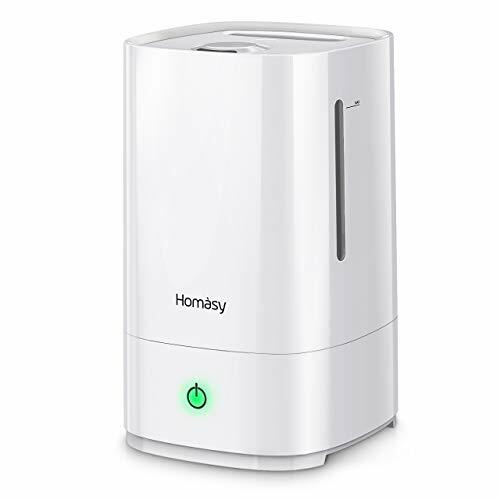 【Ultra-quiet & Night Sleep Mode】Homasy baby humidifier is super silent with a noise level of only 28dB. 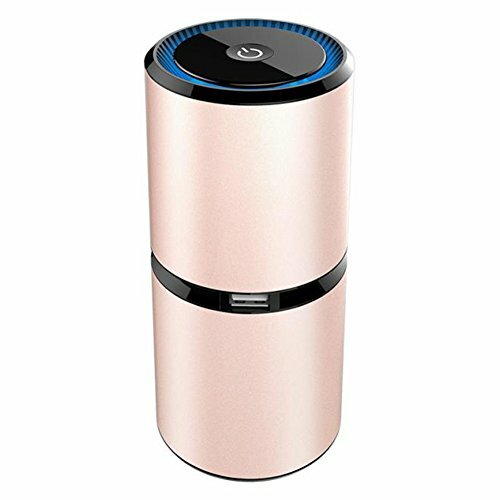 You won't feel noisy even when putting it on your nightstand, and if you press touch button for 3 seconds, it will enter into sleep mode with the light off while spraying mist continuously. 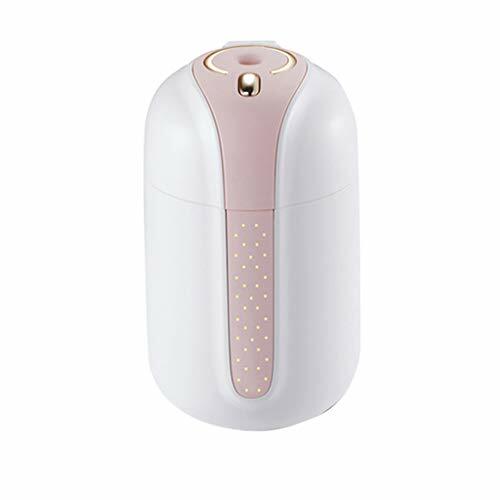 【Healthier & Easy to Clean】The internal base of this water humidifier is embedded with some excellent masterbatch materials for limiting dust and stains growth. 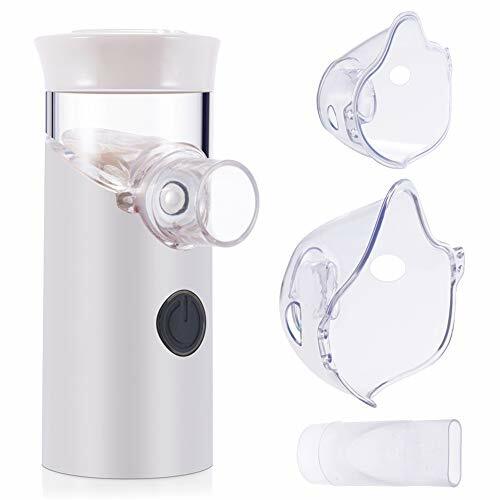 This makes its mist sprayed more hygienic and healthier, and there also is a stainless steel filter inside for blocking impurities and easy to clean. 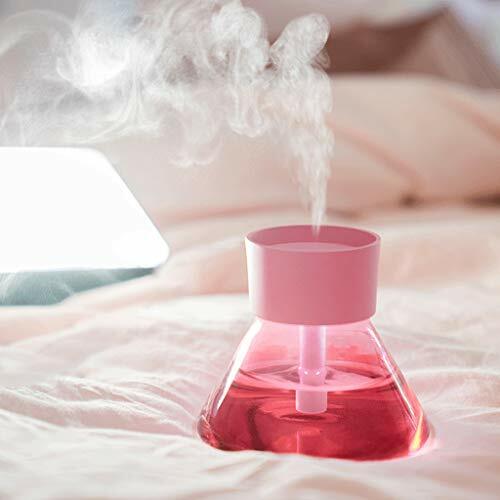 【All Night Mist & Automatic Shut-off】Holding up to 4.5 liters of water, the cool mist humidifier allows up to 30 hours of working time in low mist. 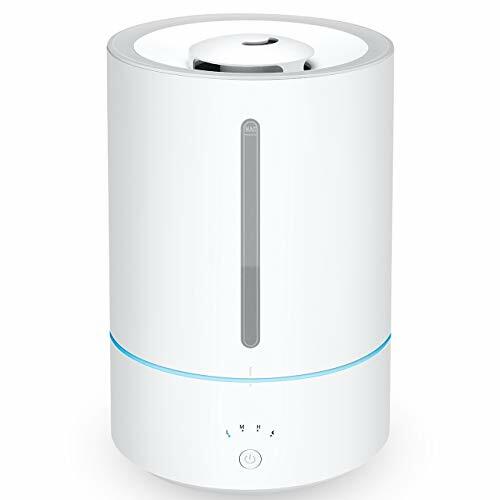 It will automatically shut off and goes into standby mode on when runs out of water or the humidifier falls down. 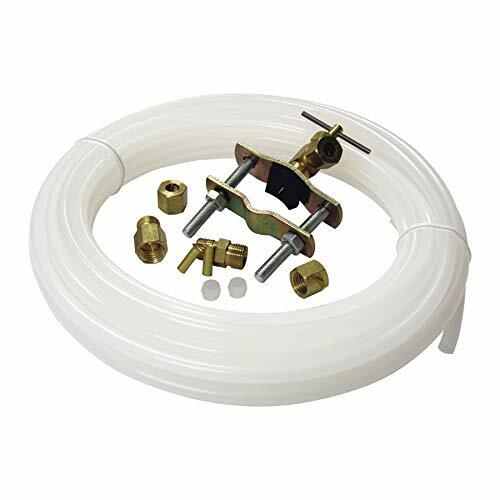 AUTO SHUT OFF / PRACTICAL / EASY USE - Automatically turns off when runs out of water to prevent unit damage and keep you safe. Sophisticated 3-stage water purification system; no need to change water filters. 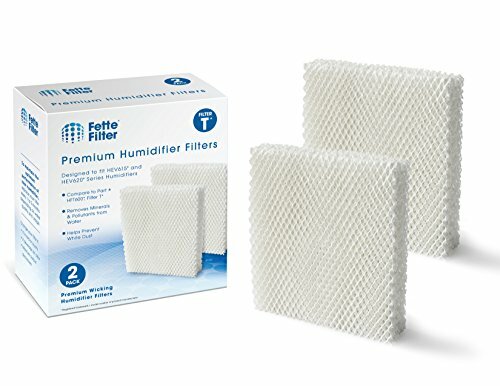 Long lasting air filter. Detachable water tank with a 2.5" opening for easy cleaning to stop bacterіa build up. Low energy consumption. Ultra quiet operation and soft LED light - won't disturb your sleep at night. Stylish 2019 anti-fall-over design looks great with any décor. 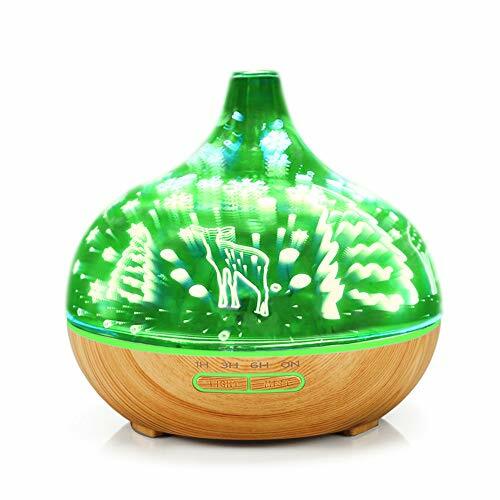 MULTI FUNCTION / LARGE CAPACITY / HIGH OUTPUT - Modern ultrasonic personal humidifier with built in air ionization system and essential oil diffuser produces a near silent frequency (<30dB). 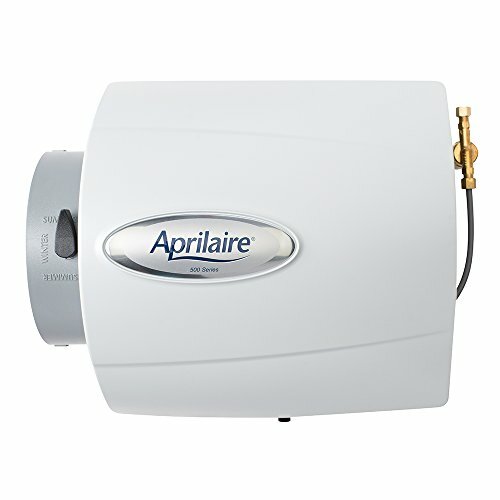 Featuring a 4L (1 gal) water tank, with superfine mist generated by 2.4 billion vibrations/min, our WARM (107°F) & COOL mist humidifier works in rooms up to 485 sq.ft. and lasts 24 HOURS between refills (cool mist at low speed). Switch between 12 adjustable mist settings with our sleek touch button controls. 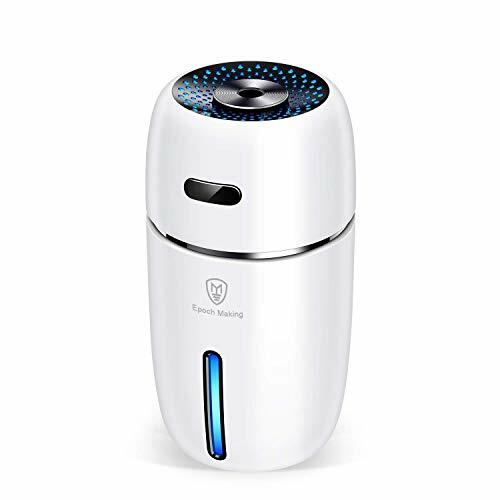 AIR IONIZATION- The device features an antibacterіal filter with silver ions and is designed to humidify and purify the air at the same time. 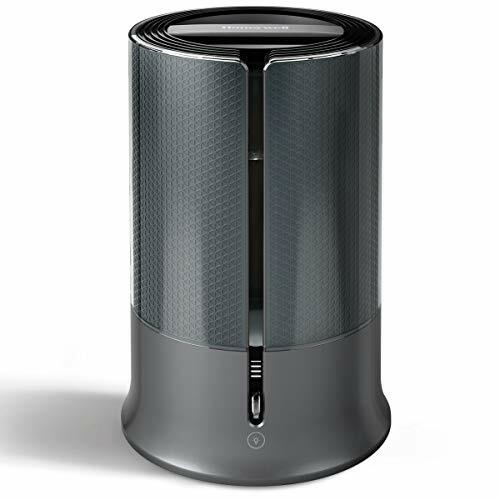 Our 100% safe and healthy air purification system produces 300 million cleansing ions per min. Negative ions fіght various types of bacterіa (Escherichia coli, Staphylococcus aureus, etc. ), vіruses and mіcroorganisms and strongly absorb heаvy metаls and toxіns. Create a healthy living space for you and your family in a professional way! Tain styling, Good accessory for decorating the room and the office.Good for friend or lover as a birthday gift. fog spray from the chimney,The lights shot from the cockpit,Very vivid. 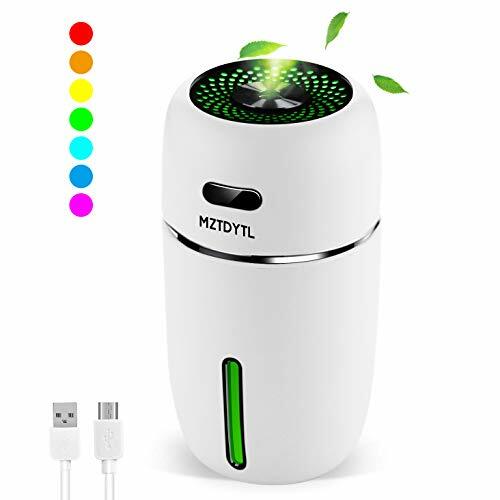 Moist air, soft nightlight relieve dry troubles and have a good mood whatever you are a officer during your working or a student in the hard learning. It is a good workmate. It is also a good light when you getup or feed your baby at night. One key operation, it is easy and simple. Press switch firstly fog spray continuously and auto shut off after 6 hours, press again fog stop. Press switch for 2 seconds, light up, which press switch for 2 seconds again, light off. Usb port charging, travel size, portable and can take it any where and any time. it can be charge by powerbank or Computer. 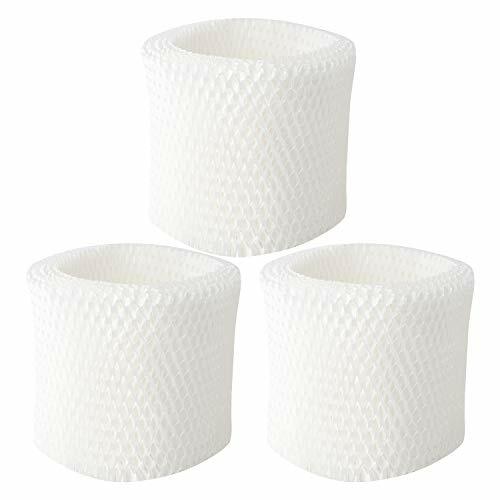 ultrasonic vibration, cotton filter make more fog and air more clean. Equip with dropping bottle help you easy to add water inside the tank. 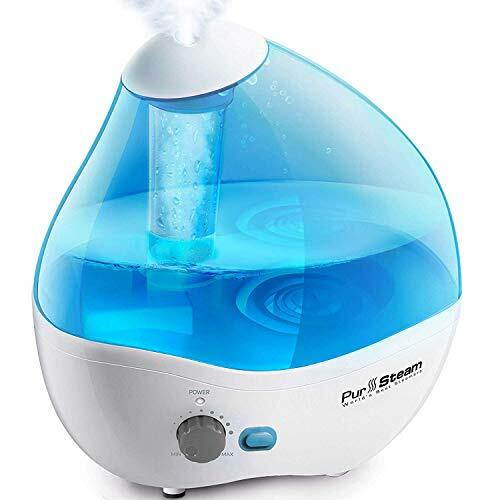 All Night Mist & Automatic Shut-off: Enjoy long-acting air diffusion with 1.32 Gallon (5L) large capacity humidifier which contains 3 mist modes.Runs up to 12 hours per filling on high setting, 45hours per filling on low setting. 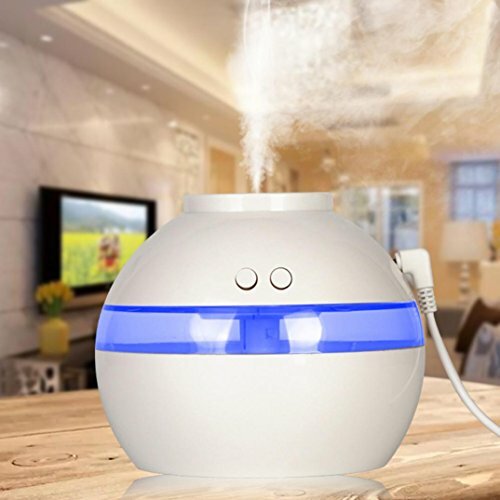 Our cool humidifier can easily handle a large space such as bedroom and living room, even the whole house. 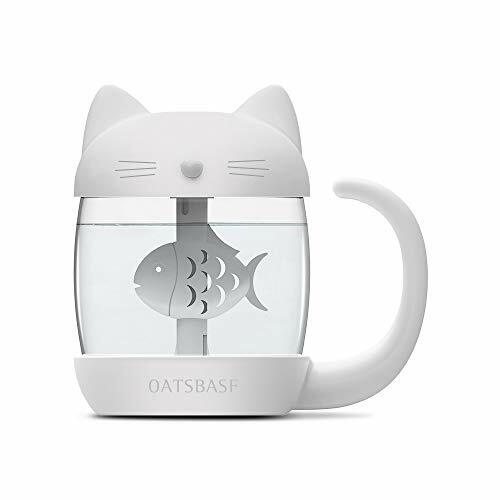 It will automatically shut off with red LED light on when runs out of water. 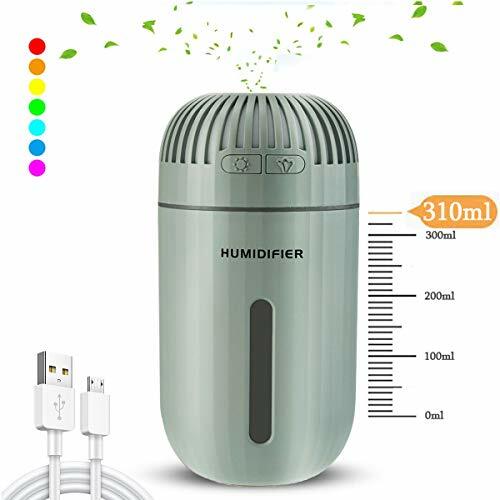 QUICK HUMIDICATION: A powerful humidifying function.You can match one of mist modes,such as low mist,medium mist,high mist or humidistat function ,in the short time to achieve the effect of moist air, Which let you have no fear of dry air interference. 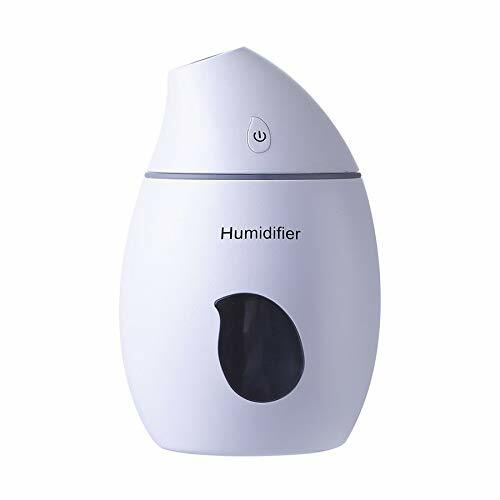 HUMIDISTAT FUNCTION: A special humidistat mode automatically adjust the amount of mist according to the ambient humidity which intellgent keep indoor humidity of 55%-60%.You can feel free about excessive moisture and enjoy a carefree environment with your family. 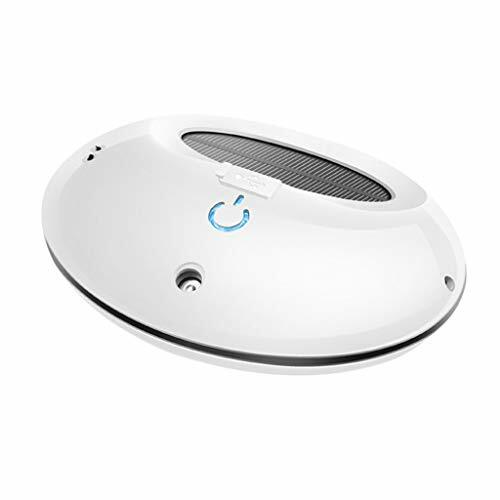 SLEEP MODE: Based on ultrasonic technology, which produces less than 35 dB of noise and provides a comfortabe sleep environment for your family.The round indicator light will turn off so that you will not disturbed by the annoying lights anymore. 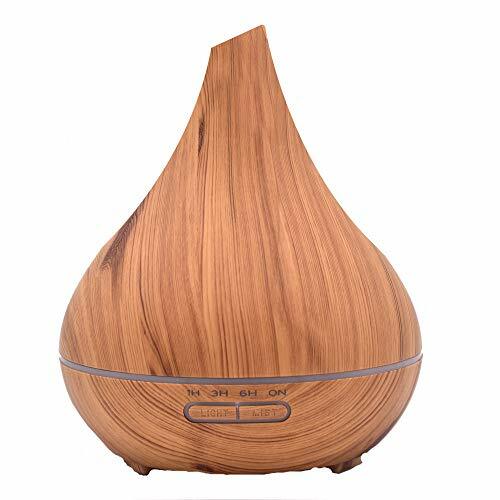 WHAT YOU GET & NOTE:Humidifier, Essential Oil Diffuser, User Manual; Customer Support 7 Days a Week,24 Months Warranty. 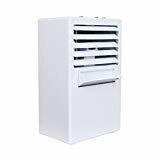 Notes: Please don't place on the carpet or any towel as the fan under the bottom,the carper or towel will jam the air intake. 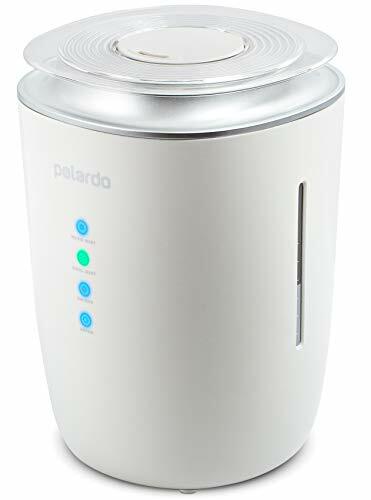 【Easy to Refill and Clean】You just remove the cover and directly add cool water into the humidifier. Besides, with a 8.74-inch-wide tank opening, which is easier to refill water, oil and to clean. 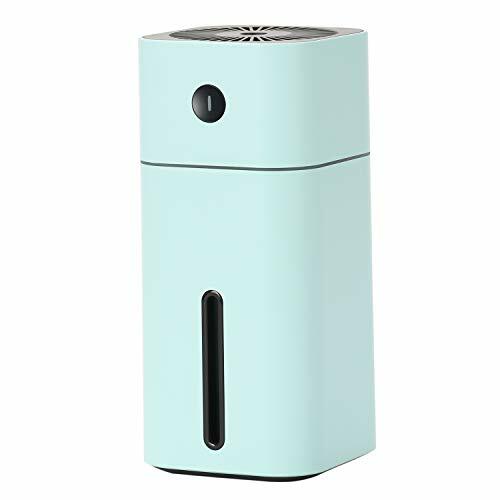 【Large Compacity & High Mist】The humidifier feature a 5L (1.32gal) tank, the speed of the Humidifier is two times as much as others. 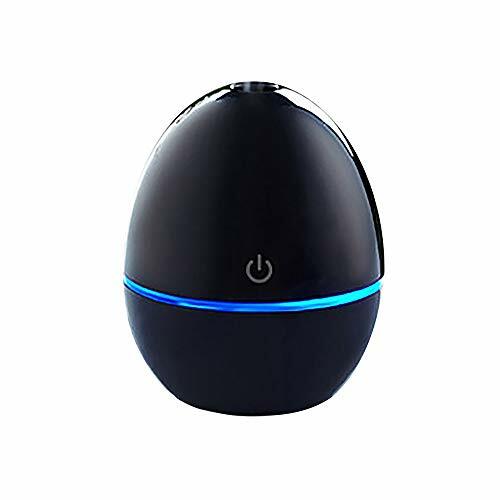 Besides, the cool mist humidifier allows up to 40 hours of working time in low mist. 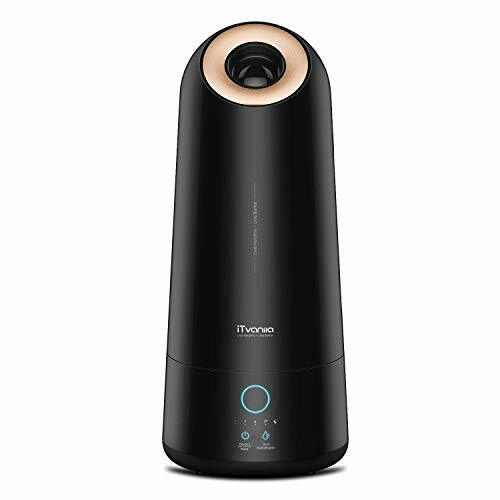 Thanks to our 360-degree nozzle, you can regulate the direction of the cool mist humidifier as you like. 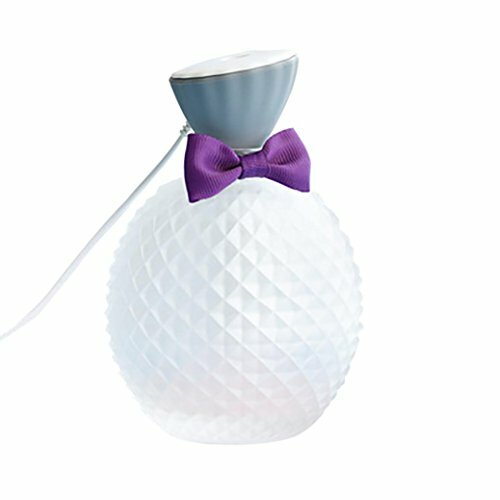 【150ml Portable Diffuser with Reasonable Price】-- From so many diffuser options in the market, we believe this one will be your best choice. 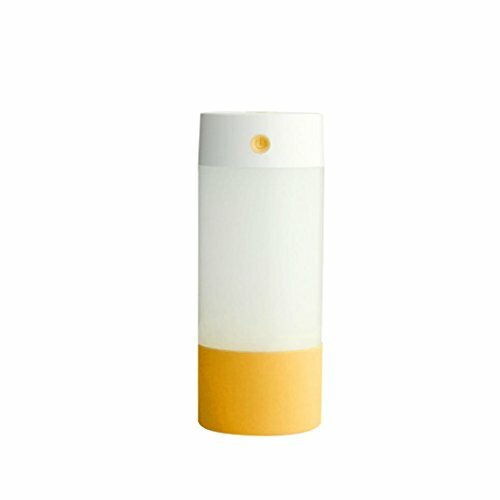 We design 150ml, it is portable to move from room to room, easy to pack in your package, also suitable for your traveling. 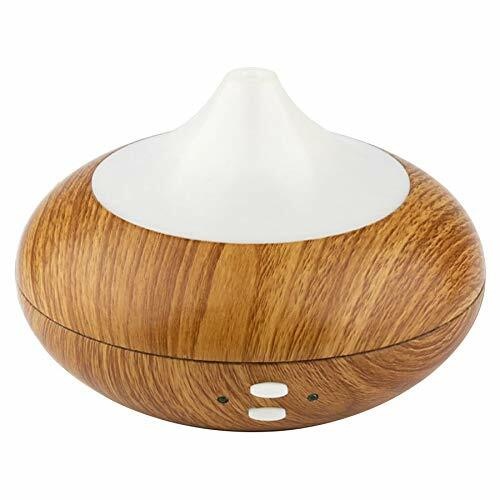 With the reasonal price, no worries to enjoy your healthy life with Avaspot aroma diffuser. 【Auto Off Feature to Ensure Your Safety】-- Your safety is our top priority. 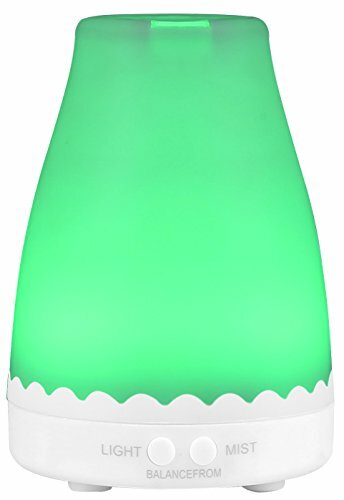 This diffuser features with auto off if water used up. Totally safe for sleeping , baby , children. Safe and reliable. There are two mist mode, intermittent mode lasts about 6-8 hours. Continuous mode lasts about 4-6 hours. 【7 Colors LED Light for Romantic】-- Independent light control, can keep 7 colors changing or stay on one. Choose your favourite color at night , enhance your mood, enjoy a peaceful environment with your lovers. 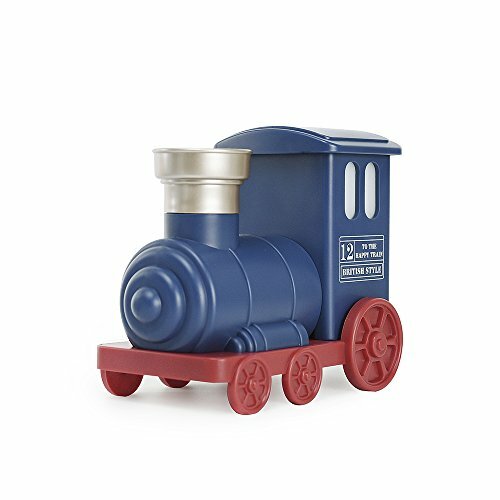 You can also use it as nightlight in your kid's room, inspire their imaginations and as a companion for a quiet night. 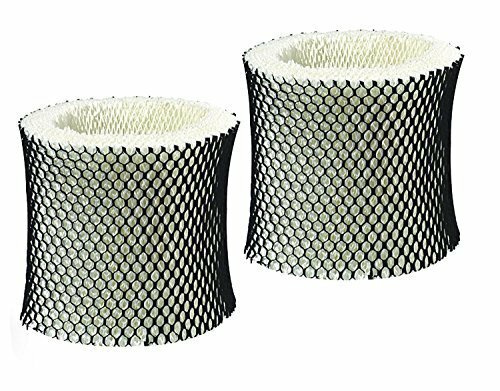 【Safe Material&Super Quiet】-- We use PP and ABS to make this diffuser. 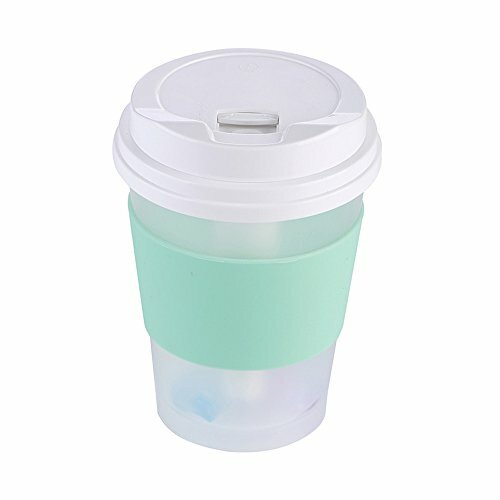 They are totally BPA free and without toxic substance. The material is the same with baby bottles, keep the active ingredients of essential oils. Anti-corrosion. 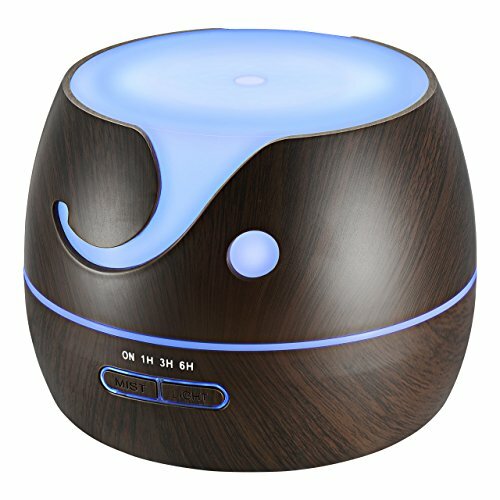 The super quiet funtion make your sleep sound without disturb. 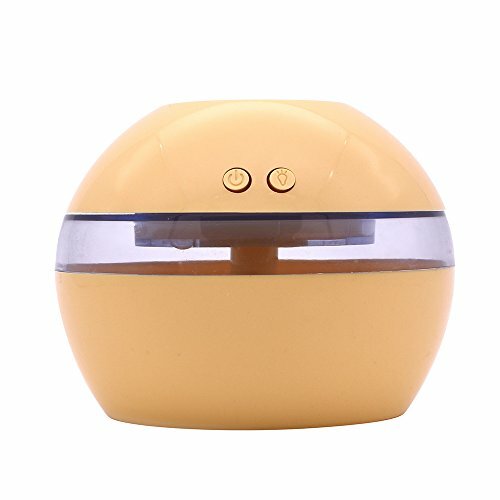 【Service&Warranty】-- The diffuser is CE and RoHS approved. We also promise Worry-free 12-month warranty and 6-month money back guarantee as well as friendly customer service within 24 hours. 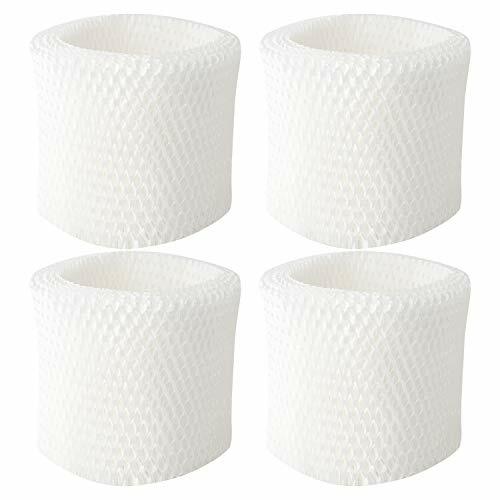 If you have any problems with the product, just feel free to contact us. We will always be here to solve it until you are satisfied.